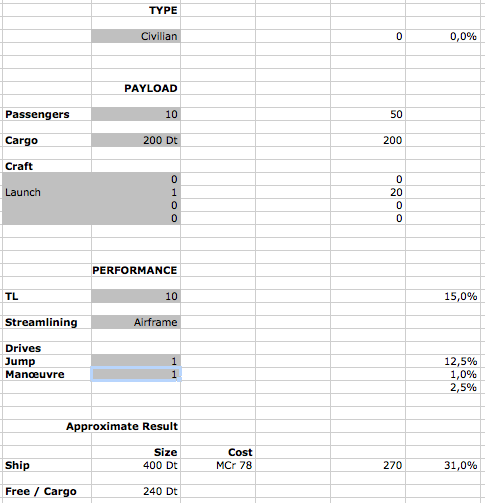 A first attempt of a payload-based ship design system for T5. 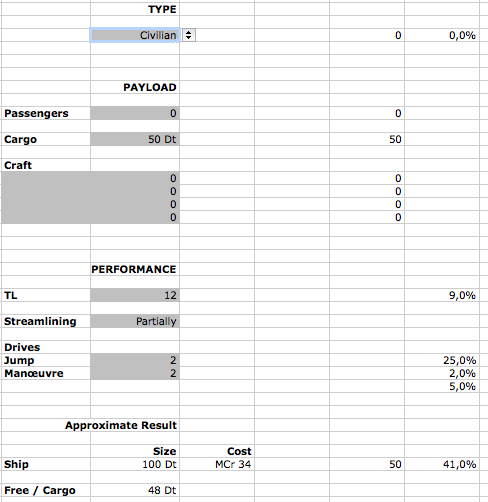 We specify a civilian ship with a payload of 10 passengers, 200 Dt cargo, and a launch. For performance we choose TL-10, Airframe, J-1, M-1. We have designed a ship.